It was great! They had a beautiful day for it and they swam all day. Here are a few preliminary pictures, I took about a million, of course, and haven't finished sorting them out. Also, if you'd like to learn more about the event, there was a better write-up than mine on DNA Info. US Winter Swimming Championships, coming to Manhattan on Saturday, January 30th! 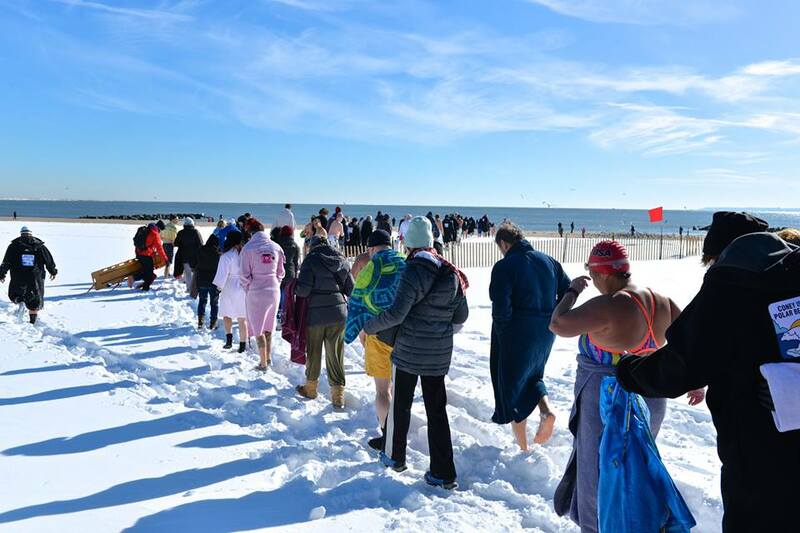 The Coney Island Polar Bear Club heads to the water for their weekly winter swim, the day after our giant blizzard (oh yeah, some of 'em even went IN the blizzard - these folks are not easily deterred, and some of them are in training for this weekend's big event!). 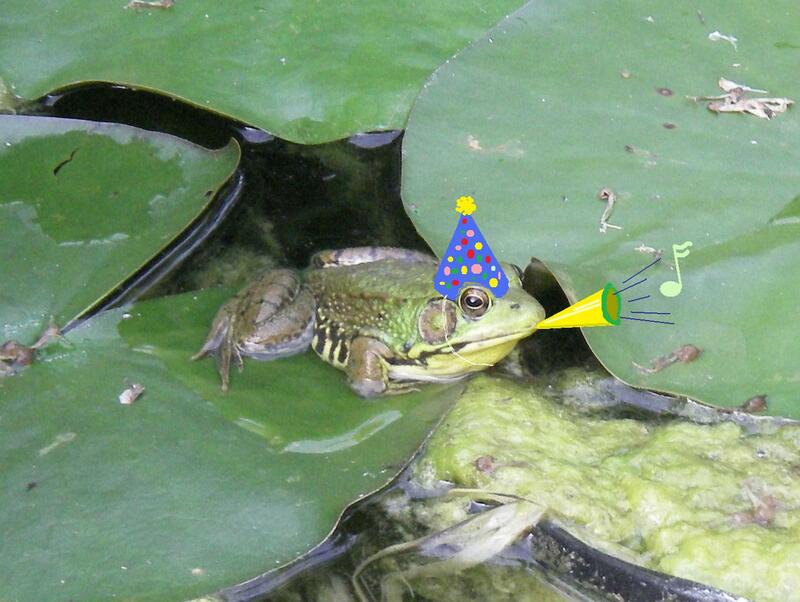 Photo by Deb Rabinowitz, via Polar Bear Allyson Howard. Thanks Deb and Allyson! Just a quick lunchtime post to share info about a really amazing event that's happening this coming Saturday (January 30th, 2016). It totally snuck up on me - I meant to post about it late last week, but better late than never. Saturday's forecast says 40 degrees and partly sunny; the Stevens Institute NYHOPS site (I love that site) shows water temperatures at the northern end of Manhattan to be in the mid to low 30's - now doesn't that just sound like the perfect conditions for a swim meet in the Hudson River? Well, it does to the fine folks at the US Winter Swimming Association, who have picked the Hudson River as the location for their 2nd annual US Winter Swimming Championships. Full details at their website. I'm going to go cheer on my friends from the Coney Island Polar Bear Club! Woohoo! Go Capri, Go Cristian, go anybody else who's competing! I'm always a bit amazed at these folks who actually swim in water that would stop most of us untrained mortals cold (literally) in minutes -- if you've ever read any of those cold-water safety sites over there in my sidebar, you'll know that off-season boating is something that smart boaters approach with full awareness of the hazards and an expensive (and generally garish) wardrobe of outfits designed to extend your period of functional time should you accidentally end up in the icy drink -- cold water is nothing to be messed with and the folks who actually swim all winter (not just for a New Year's Day caper) are a very special kind of athlete. I'm very excited that the championship is here this year! For more NYC winter swimming fun/madness, check out the Coney Island Polar Bear Club on Facebook or at Polarbearclub.org. Brooklyn Blizzard - Yesterday, Today, Tomorrow, CHEESE! And tomorrow? Well, no pictures of that yet, for some reason, but with the city having had a full day to clean up and a nice south wind bringing in some warmer temperatures tomorrow, I'm fully expecting a normal commute & work day. TQ works for the NYC Parks Department and he was called in at oh-dark-thirty to help with the cleanup. Go Parks Dept. and Sanitation and anybody else involved in Shovel-out Sunday! I had a nice quiet day, though - slept in, then decided to walk over to the Food Co-op where they usually have the pasteurized, just pasteurized, not ultra-pasteurized milk that I've been getting for my ongoing experiments in cheesemaking. I wasn't sure they'd have any, New Yorkers tend to do the same crazed buying of bread and milk as people do in less populous areas, but I figured I'd go see what the situation was, and if nothing else, I would get a good walk out of it. Which I did. Lovely day in Midwood and Ditmas Park. When I got to Cortelyou Road, I was amazed to find that the Cortelyou Road Greenmarket was actually open for business! Only 2 vendors, understandably, but I was surprised anyone had made it. I'd only planned on getting milk, but since these two had made the trip down, I figured I'd do a little more shopping. Rogowski Farms was selling all her root veggies for two dollars a pound, so I got a pound each of carrots, potatoes and beets. I got cider and eggs from the Knoll Crest gentleman. Even if the co-op didn't have milk, now this trip was worth the time,in addition to being the nice walk I'd hoped for. Food co-op was stocked as though nothing had ever happened, so I got my milk and headed for home. Little bit more of a hike with so many groceries, but I need the exercise! and immediately came back for my camera, because there was a fine sunset going on, one of those pretty pink-and-blue ones. Came home and made my cheese. Mozzarella, 2nd try, came out delicious - first time I'd accidentally gotten 2% milk, which you can still use to make cheese; this time I got whole milk, plus I worked it a little bit less and left a little more whey in so it came out creamier, tenderer, and moister than my last mozzarella (which was my first ever cheesemaking attempt, and was pretty good, but a tiny bit rubbery - I think I fixed that this time). Yes, we are having a little snow today. Well, goodness, first I was going to do a post about cheesemaking, because January 20th is National Cheese Lover's Day and I have a bunch of pictures of my end-of-2015 first-time-ever cheesemaking session that I haven't shared yet - but I'm tired from a very late night at work and there were a lot more pictures than I realized, so then I wasn't going to post at all, but then I happened to look back to earlier in this blog and discovered that, goodness gracious, it was on this day 11 years ago that I first launched this blog. I missed the blog's 10th year celebration last year 'cause I was on a fabulous sailing trip in the Caribbean and I'm neither committed enough nor technologically advanced enough to blog on vacation - but here I am and here this blog still is, 11 years later, so here's a quick post to say "Woohoo!" Amazing what a little interaction with other people does - over the years, I have tried diary-keeping from time to time, I mean old-school pen-and-ink style, but I don't think any diary I ever started made it past the first month. Lots more fun doing it online though. Here was my first post ever - if you aren't already in the know about where I got the name for this blog, that tells the story. And in case anyone's bummed about the lack of cheesemaking, don't worry, there will be a belated National Cheese Lover's Day post soon. A cemetery might seem like a strange destination for a paddling club to go on a winter hike, but Green-Wood is a very unusual and particularly visitable cemetery. I'm posting this at a rather late hour, so to save some time, I'll borrow the explanation I gave to a Facebook friend who wasn't familiar with the place. 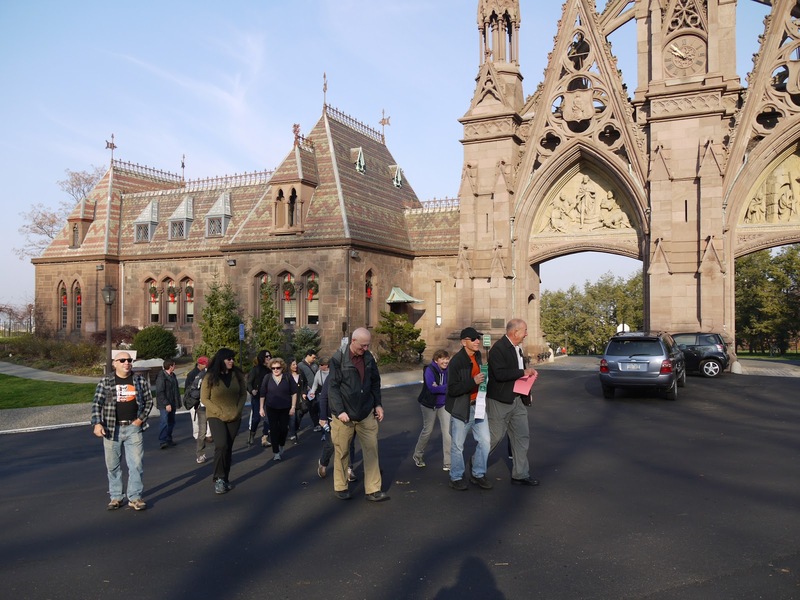 Green-Wood Cemetery opened in 1838 in what was at that time a very rural part of Brooklyn. As I understand it, it was unusual for the time in that it was non-sectarian; being the Victorian era, you probably had to be some flavor of Christian, and white, but beyond that their only restriction was that they wouldn't take anyone who'd been executed for a crime or died in jail. It didn't catch on right away because people were more used to being laid to rest among their own denomination, but as I found out in an interesting article I stumbled across while looking for info on the DeWitt Clinton memorial, the operators actually pulled off an odd sort of marketing coup by having Clinton moved there - he'd been such a successful politician, with the Erie Canal and a number of other NY institutions to his credit, but he'd neglected his personal finances and his family hadn't had enough to bury him properly, instead laying him to rest in a vault belonging to friends of the family. Once they had one truly famous and highly-regarded person there, others became more interested, and eventually, for a time, it got to be THE place to be buried. The Victorians were of course noted for their mortuary art, and the monuments and mausoleums are amazing to see. On top of that, they did such a beautiful job of laying the place out that it became a popular place to visit just as a pleasure excursion - in fact on the Green-Wood site's History page they mention that this aspect of the cemetery's popularity was part of the inspiration for the wonderful parks we now have in NYC. click here to read a little more history at Green-Wood's site, and click here to read more about how DeWitt Clinton came to be interred there. Because I have no time to blog this week - enjoy this instead. Thanks to my friend Omer for the link! 1:30 update - and as long as I'm sharing FB stuff - check out this colossal bore! Read more about it (en Anglais!) here. I'm not sure I've ever done a post about a pop musician, but I was so shocked yesterday when I turned on NPR as I was getting ready for work and heard them talking about David Bowie in the past tense. I've done a couple of posts on Facebook and I thought that I would just share them here as well. My first post was simply to share a video that one of my waterfront friends must have shared with me back in 2013 when it first came out. I loved this one because of all the places in the world, Bowie chose the old grain terminal in Red Hook, Brooklyn, as his location. This is an interesting side of Bowie that I didn't know about. Not too surprising, I'm not a huge modern music buff, enjoy all kinds of music but don't get into the histories of the artists like real fans do, so I didn't know a lot about him, just that he's been around for a long time and has repeatedly changed in a way that he never sounded "old". There are a few things that I've learned about him that made me admire him. For instance, he didn't let the coke habit he had in the Thin White Duke days destroy him, but managed to kick it. From what I've read, he was way down that hole and pulling oneself out of an addiction like that takes a lot of strength. More recently, and maybe more positively, there was his intervention to allow the fabulous Chris Hadfield version of Major Tom to be on YouTube - if I recall correctly, it was mostly because Bowie himself loved that video that the record company lawyers let it be on YouTube for as long as it was, and then of course I thought the Red Hook video...was fantastic. So I don't know that much about him, but I had a basically solid good impression of him as an artist and a human being, and when I read something like this that just adds to that. My introduction to his music was the Let's Dance album - good heavens, I actually just discovered that I still have that cassette here. Will have to try playing it tonight, that will be a trip down memory lane! Click here to read that article and see the interview. And then my third post was a little later today, when a Facebook friend (I wish I could remember who it was to give proper credit!) linked to a Vox article featuring the Chris Hadfield video. The permissions thing that I'd referred to in my "preamble" to the Washington Post article, to the best of my recollection, was that there was some issue with the original posting, but because David Bowie personally loved Hadfield's rendition, first he helped arrange things so that Hadfield could post it for one year, and then when the year was up (easy to spot by the flurry of social media warnings to go watch it quick before it went away), Bowie went back to bat for Hadfield and got the permission extended. Click here to read that article and see that video. Back to Sebago fun tomorrow - it won't be a trip in the Wayback Machine, more a trip in the Littlebitback Machine. Speaking of bird drawings, I don't think these guys ever made it into the blog, possibly due to running afoul (a-fowl? ha ha ha!) of my fantastic first-ever swim with the Coney Island Polar Bears on Easter Sunday 2014. I definitely shared them on Facebook but I was looking for them here on the blog for some reason a week or two ago and oops, no sign of them. This was the end of Project Duckydoodle in 2014, when I was trying to help myself with budget season brain-fry by coming home and drawing something instead of coming home and killing the rest of the day with silly online games or something. I'd done some walks in Sheepshead Bay and Prospect Park and gotten some nice winter duck pictures - these three buffleheads were one of those, the buffleheads being some of my favorite winter ducks, being so darned cute and all! My other duck doodles, I'd gotten obsessive about the water (that's actually a funny thing I find happens when I go to try to depict something in a semiserious way - the thing itself is not that hard but then I get fixated on making the water or other background/foreground look right, or at least good, which is kind of harder than you might think), but with these guys, I really liked the way they looked against the nice paper (beautiful little sketch pad from the M.P. Caviasca collection, made in Dallas, has to have been a gift from one of my Texas cousins as I wouldn't usually buy myself drawing paper this nice, the nicer the paper, the more scared I am to mess it up) so I just let them be. So there they be! Haven't done anything artsy in a long time but that lovely Painted Bunting made me want break out the crayons, and also the colored pencils and, yes, some paint. Haven't heard of any sightings of the actual bird in Prospect Park for a couple of days now - hopefully he just woke up on the first day of our little 2-day cold snap (first dip below freezing in this so far freakishly mild winter), said "Wait, Brooklyn? I knew I shoulda taken that left turn at Albuquerque! ", and set off for warmer climes. I'm so glad I got the chance to see him, I think he has to be one of the most breathtaking wild birds I've ever had the pleasure of seeing. I copied the photo from that good Audobon article I'd linked to the other day -- click here if you missed that and would like to see a lovely photo of the bird, way better than mine, and learn about how this little Southern beauty ended up in Brooklyn. Backtracking a day now - the beautiful bunting was on the 2nd, and of course, as I mentioned, TQ and I attended the annual Frostbite Regatta and Potluck at Sebago on the 1st. As I also mentioned, I was extra glad to be out there this year, I love kicking off the New Year with some time on (and weather permitting, in) the water and there was a time during the fall that I wasn't sure I'd be able to join in this year. I can't remember if we did this every year at Pier 63, but it's a long-standing tradition at Sebago and I've been a gleeful participant since joining the club in 2006. TQ and I were talking about Frostbites past on Saturday and trying to figure out if the event's ever been called off due to weather. I was pretty sure there was at least one, but going through my blog, which dates back to 2005 (oh my goodness, this blog will be 11 years old on the 29th! How crazy is that? ), the one year in the past decade that I haven't kicked off with a paddle was 2009. That year, TQ and I had driven down to North Carolina where both of our families were gathering for Christmas, and then driven back up on New Year's Eve. We were pooped, it was really, really, really cold, and after 6 days with both families we were very ready for a day to ourselves, so we skipped that year's Frostbite, slept in, had a late breakfast, and then went for a walk in Prospect Park as it was too lovely a day to not get out for a little while. I think that Sebago still paddled that day, though, it would take some foul, foul weather for the Frostbite Regatta to be cancelled. January 1st 2016 was a little bit on the breezy side, and started out a bit cloudy, but things cleared up while we were out there, it turned into quite a nice day. It wasn't as warm as it had been, but it was still pleasant - and the rolling did not produce anything near the ice-cream headaches of the last couple of years, with November and December both having broken records for the warmest, the water just hadn't chilled down much. Winter seems to have just finally gotten its act together today, with the current temperature being 16 degrees. I think it's our first actual freeze of the winter, and I'm so glad it waited until today. More pictures? Why, yes, of course there are. I was a little bit on the slow side, and with my left pectoral muscles still not entirely happy with things that have been done and are still being done to them, I discovered (after falling behind while trying to get all the paddlers plus Chris in his Melonseed all into one shot - see above) that my high gear is basically missing - however, despite not being able to pull off my usual "photographer's sprint" to catch up with the group, I still couldn't leave the camera alone - click here to visit the usual Flickr album! Ah! Finally a day where I had time to trek out to Prospect Park in search of Brooklyn's latest celebrity - a glorious little southern bird called a Painted Bunting who somehow wandered north to Brooklyn and has actually stayed for a couple of months now. The fun thing about birding in Prospect Park (at least for an amateur birder, more experienced birders may like more challenge) is that you don't actually have to find an itty-bitty bird - all you have to do is go to the area that the bird's been hanging out (in this case the seed-rich plantings around the new Lakeside skating complex) and find the pack of intent and excited birders. And if they have scopes, they're generally very generous with sharing! I got my best shot through a high-quality scope that had been brought by a birder from upstate NY who was visiting our area for the day; they'd started at Jones Beach looking for a Tufted Duck, then come into the city for this guy and an Orange-Crowned Warbler who's also been seen in Prospect Park. Seeing the bunting through the scope was absolutely breathtaking - several small children got to see it too, I bet a few future birders were made today! Personally, I was tickled with how well this shot came out, but for a MUCH better shot and more information about what this lovely vagrant is doing here in Brooklyn and what he might do next, check out this article on the Audobon site.